Hoverboards are a new electronic gadget that was first commercially introduced in early 2013. Nowadays, hoverboards are in trend as it is a popular means of personal transportation. These scooters and hoverboards are becoming popular as various famous singers and heroes use them in their songs and videos. The internet is the main source where they are being exposed and gaining popularity. It is an adventure to ride a self-balancing electric scooter. However, the most important thing to keep in mind while buying or riding a hoverboard is safety. So here is the complete guide to riding a hoverboard and having fun with safety in mind. If you are planning to buy a Self Balancing Hoverboard, please review the following tips making it easier to find the right hoverboard for you. 1. Hoverboard Size: This is the first thing to keep in mind when planning on buying a hoverboard. The common size is 7 inches, which is suitable for road riding and flat surfaces. If you are planning on using the hoverboard off road (in gardens or on a rough surface), 10 inches is the right size for you. Size is the most important factor and therefore it’s the first parameter to check. 2. Weight Limits: Different hoverboards have different weight limits. When buying a hoverboard, the second thing to take into consideration is the hoverboard’s weight limitations. The hoverboard’s safety is strongly dependent on making sure your weight doesn’t exceed the hoverboard’s weight limit. 3. Features List: The features the hoverboard would have are mainly dictated by your total budget. On the high-end budget, you’ll get facilities such as Bluetooth, music plug in, led light (that’s most important while riding in the evening or night). The color of the hoverboard, polish done on the body and more visual effects, are factors that are significantly affected by the budget you’re aiming to invest as well. The three bullets above are the main points you need to consider when buying a hoverboard and they are mostly from a safety standpoint. Now, after the hoverboard is bought, it’s time to learn how to safely ride it. 1. 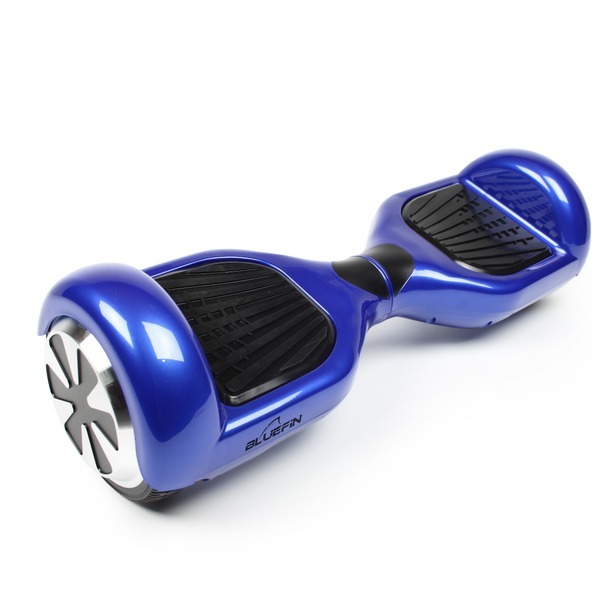 Getting on the board: If you are getting on board for the first time, make sure that it is fully charged, put the self-balancing hoverboard on a flat surface so that when you are getting up on it, it will not move. Set your board on beginner’s mode and put your right foot on the board. Try to put your foot as close to the wheel as possible. 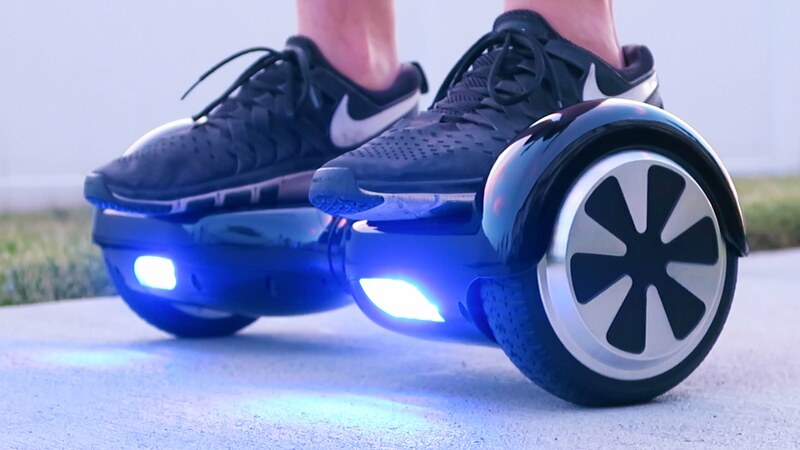 It is easier to ride the hoverboard if your foot is close to the wheel and moreover, it maintains good balance. Just relax and look at the horizon, be as calm as you can be. 2. Moving around with the hoverboard: The second step, after getting on the board, is to move around. Once again, you should feel as relaxed as possible and look straight. Picture the route you want to go in advance, and then lean your body in that direction. The first ride should be only straightforward. Only once you feel comfortable enough going straight and you’re ready to start making turns, you should slightly shift your weight so that the hoverboard would sense you would like to turn and make an easy turn. This is indeed a tricky part because if you’ll lean your body weight too much, there is a good chance you’ll fall over. 99% of the people do fall over on the first times, but it’s part of the game of learning to lean as slightly and smoothly as possible. 3. Changing the direction: Changing the direction is not as difficult as you may think. It is quite easy to do so when you get the hang of it. If you would like to turn to the left, slightly press down the front of your right foot, and you can easily turn to the left side. If you want to turn right, slightly press the front of your left foot and you will turn to the right side. Keep in mind, you want to use the opposite foot to the direction you want to turn your hoverboard in. 4. Getting off the hoverboard: First make sure you’re fully comfortable on the hoverboard and then keep the more comfortable and dominating foot on the Hoverboard and move the other foot onto the ground. After setting one foot on the ground step off your second foot. In the first times you’ll probably take a little jump while getting out of the hoverboard, but with time you’ll step off smoothly as the other riders do. Please don’t get discouraged since the hardest tasks are getting on and off the hoverboard. Once you’ll master these two tasks easily, all that remains is the complete enjoyment of riding this futuristic amazing vehicle. Once you’ll master the steps above, knowing how to get on and off the hoverboard, how to change the direction and more, you’ll easily ride your hoverboard and properly balance the 2-wheel scooter. The next more challenging step is mastering the more advanced level of hoverboard riding. Doing laps, turning in one direction and many more. Hoverboard riding is hard for beginners but when you watch others, always remember that they fell many times before you’ve watched them smoothly glide. Once you’ll do it, this would become like a second nature to you. People would watch you and think it’s the easiest task to be done. Mastering a Self-balancing hoverboard is only about practicing. This guide on how to ride the hoverboard bridges the gap between where you stand today and where you would be in the future. It is a complete guide which provides you the means to master hoverboard riding. Gadgetonic.com is a participant in the Amazon Services LLC Associates Program, and we get a commission on purchases made through our links. gadgetonic.com is a participant in the Amazon Services LLC Associates Program, an affiliate advertising program designed to provide a means for sites to earn advertising fees by advertising and linking to (“gadgetonic.com” (amazon.com, or endless.com, MYHABIT.com, SmallParts.com, or AmazonWireless.com). Copyright 2017 Gadgetonic. All Rights Reserved.